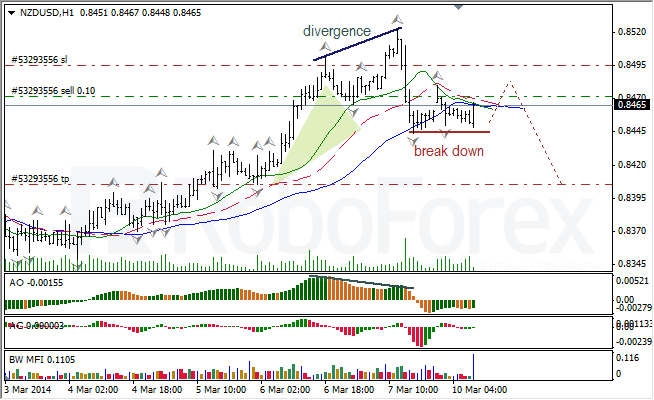 At H4 chart of USD CAD, Alligator is reversing upwards. Price is forming bullish fractal; indicators are in grey zone; there are no Squat bars on the MFI. I expect breakout of fractals to the upside. 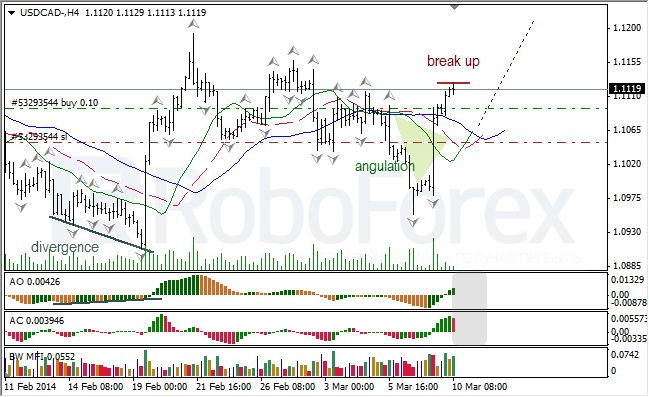 At H1 chart of USD CAD, Alligator is moving upwards. 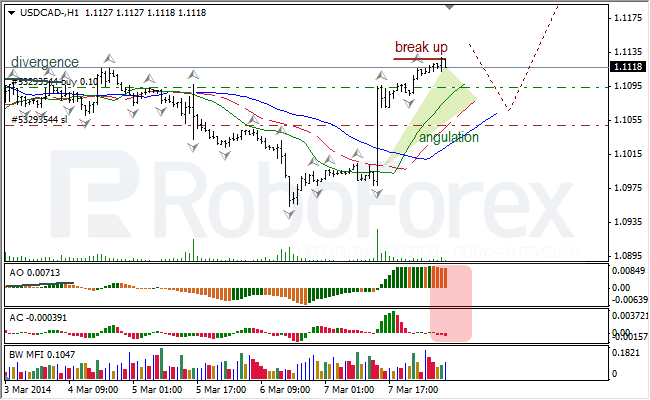 Angulation is open; indicators are in red zone; there is Green bar on the MFI and might be Squat one too. Bearish fractal may reach Alligator’s jaw (blue line). 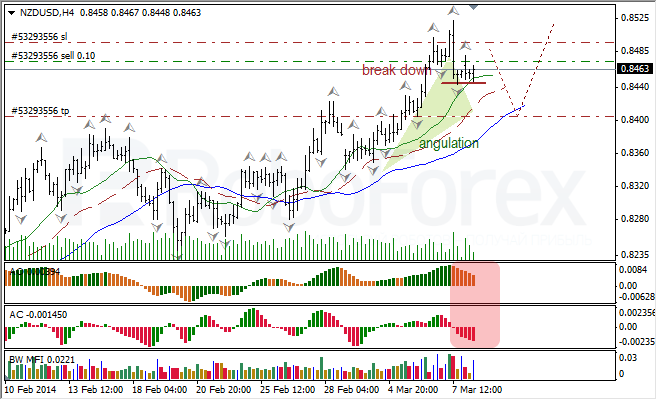 At H4 chart of NZD USD, Alligator is moving upwards. Indicators are in red zone; there might be Squat bar on the MFI. Bearish fractal may reach Alligator’s jaw (blue line). At H1 chart of NZD USD, Alligator is reversing downwards. AO and AC are in green zone, AC is near balance line; there is Green bar on the MFI and might be Squat one too. I expect breakout of fractals to the downside.